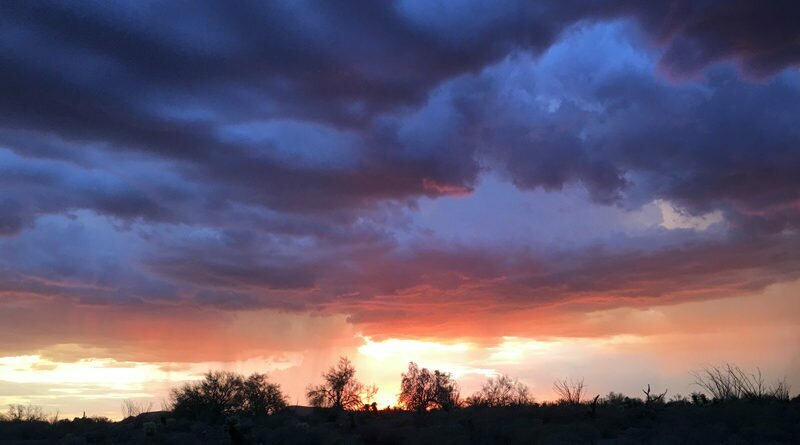 In an average year, about 2.53 inches of rain falls during July and August at Deer Valley Airport, the primary gauge in the North Phoenix area with a long history of measurements tracked by the National Weather Service. 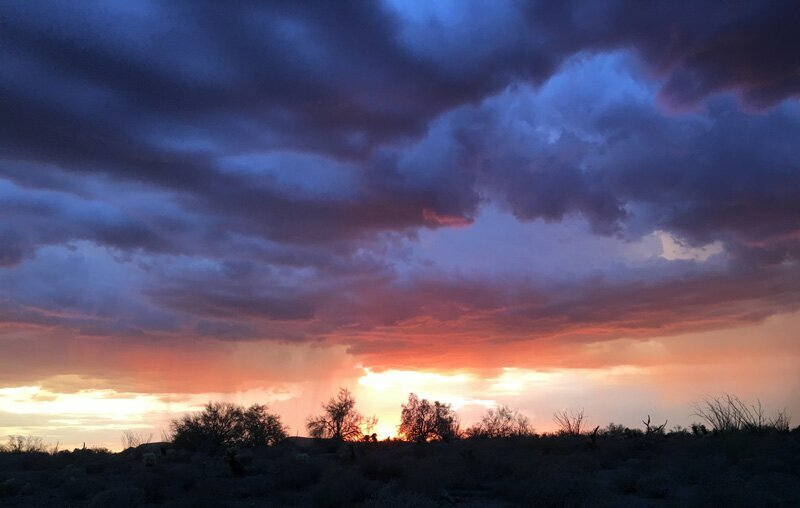 Yesterday’s storms added a little over a tenth of an inch in parts of Anthem and Tramonto, along with 0.39 inches in one gauge in Desert Hills. But just traces fell in the Norterra area and at Deer Valley Airport. Now, with August only half over, many gauges in the region are approaching or exceeding seasonal norms. And yet, the fickle monsoon storms have left some spots well below average. This map shows actual rainfall totals for July 1 through yesterday (Aug. 14). See lower down for some caveats and explanations. 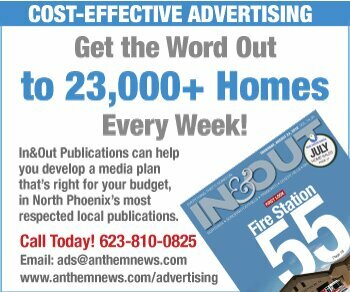 CORRECTION: The gauge labeled West of Anthem had been incorrectly labeled Anthem East in an earlier version of this graphic. Caveats & Explanations: Deer Valley Airport averages 1.25 inches in July and 1.28 inches in August. June typically produces only a trace, and September average 0.90 inches [North Phoenix Climate Norms]. 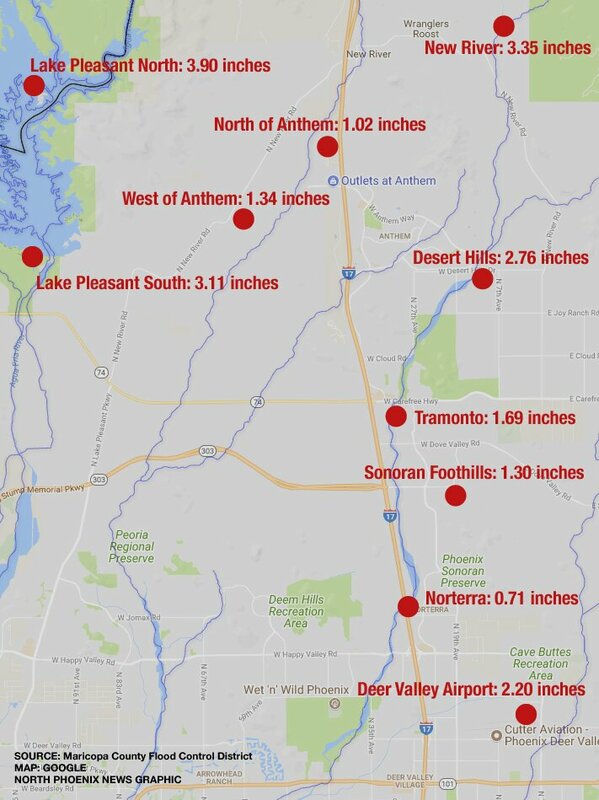 While official long-term averages don’t exist for other gauges shown on the map above, areas near the mountains (including Anthem, New River and Lake Pleasant) average slightly higher totals, according to the Arizona State Climatologist. Keep in mind that the figures on this map cover 1.5 months (versus 2 months cited as the average at Deer Valley Airport). And there are more storms in the forecast (below).